What If Debt Collectors Are Calling Me? First realize that you do not have to talk with the debt collectors when they call. They are not calling because they care about your situation or want to discuss your financial problems in order to help you find a solution. They want a payment, or a promise to pay, and unless you are able to give one of these things to them, there is no reason to talk. If you had the money, you would have already paid them, and if you had the money coming in, you would have already made arrangements (a promise) to pay. They know this so they call, and call, and call, and call – thinking that the more they harass you, belittle you, etc – the more likely you are to figure out a way to pay them – they don’t care about you being able to figure out an overall solution, just that you meet their immediate demand regardless of the cost to you. Who gets fed? Usually it’s the loudest chirping bird. Debt collectors don’t care if all you have is the money to pay your house note – they want to be paid and the house note not getting the money is your problem. You don’t have to talk to people like this. Keep in mind that a debt collector is required to mail you what’s called a “validation” notice within five days of first contacting you. This notice must include and lay out the amount they claim owe, the name of the creditor that they claim you owe, and what to do if you think you don’t owe this money. You then have 30 days to dispute this debt and it’s claims. You also have the right to notify them that you do not want them to call or contact you anymore. It is best that you do this in writing and send it by certified mail so you have proof of your notification to them to stop contacting you, should they continue to call. Click here to read more about stopping debt collectors from calling. 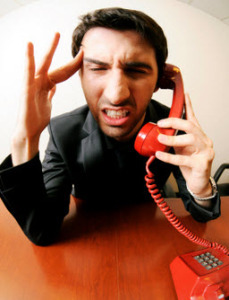 Yes, you can stop debt collectors from calling you. Federal law, the Fair Debt Collection Practices Act, (“FDCPA”) requires debt collectors to stop calling if you send them a written request. Once your written notice for telephone calls to stop has been received by a debt collector, financial penalties of $500 to $1,500 can be awarded per violation. 1. Write a letter setting out your name and address.